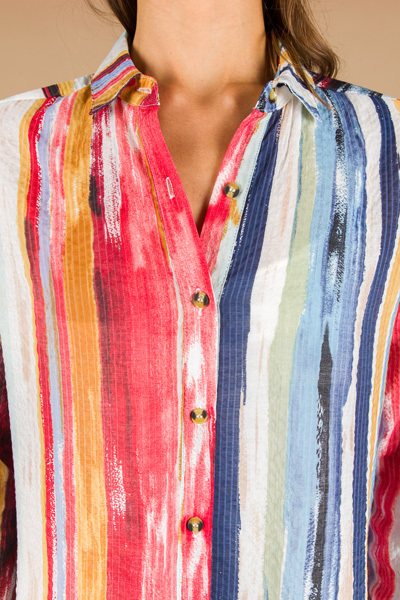 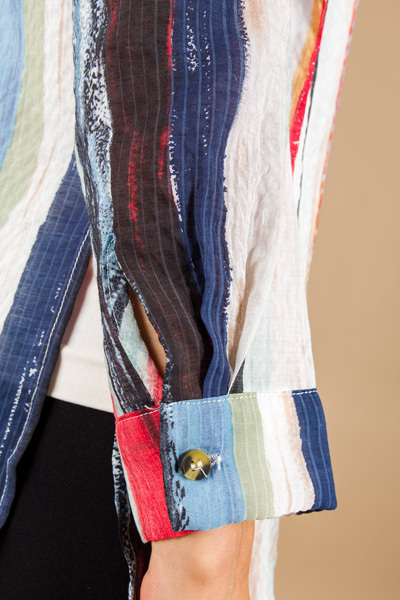 Now this button up is anything but basic! 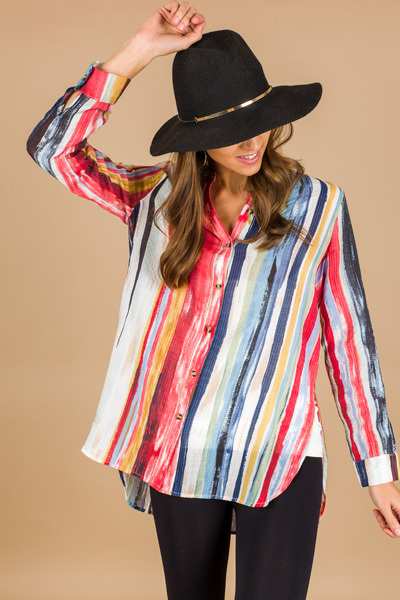 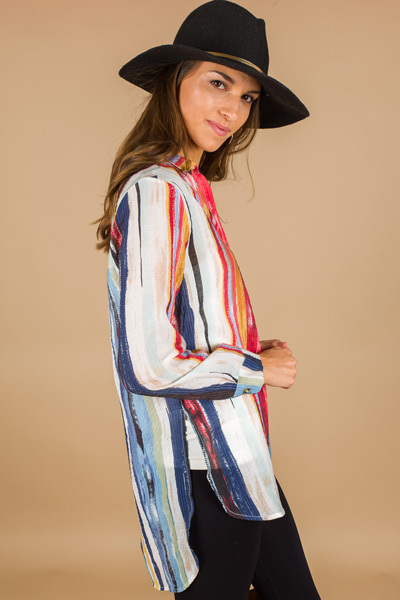 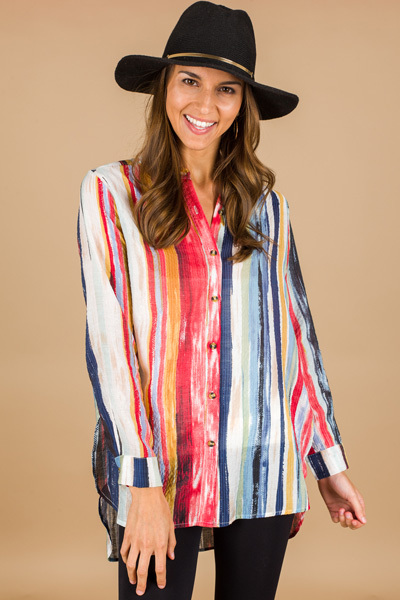 The watercolor stripes in the perfect fall hues + high side slits give it a classic and sassy vibe! 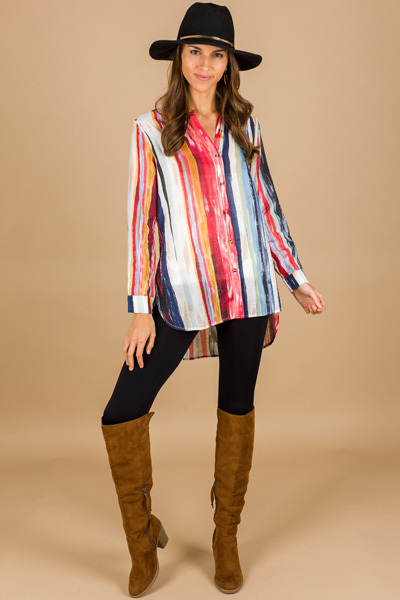 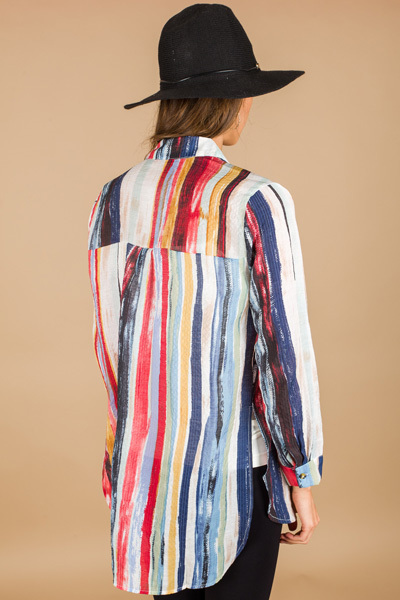 The material is a rayon-blend that is super lightweight, and can be easily layered.